The glamorous Bentley Arnage Drophead Coupe that was launched to worldwide acclaim at the Los Angeles Motor Show in January 2005 is to go into series production. 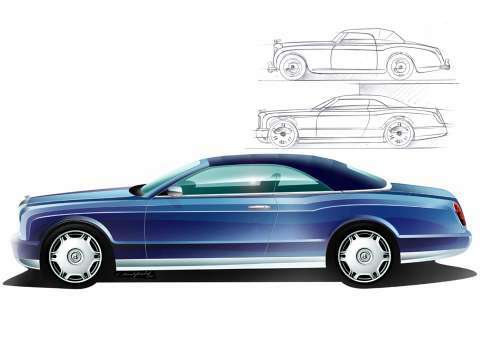 The magnificent four-seater convertible show car stimulated such interest among Bentley aficionados, both in the USA and Europe, that the decision was immediately taken to continue its extensive development programme in time for delivery of the first cars in Spring 2006. 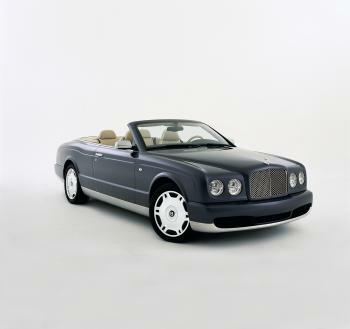 The Arnage Drophead Coupe is a true luxury four-seater convertible for the 21st century: a unique blend of classic Bentley design and craftsmanship together with a high-technology platform sourced from the 2005 Model Year Arnage. As such, it is the perfect natural successor to the Bentley Azure, whose eight-year lifespan cemented the marque's status as the prime provider of four-seater convertibles to this sector of the market. "We knew that the Drophead Coupe would create quite a stir," says Bentley chairman Dr Franz-Josef Paefgen, "because it is the most sensationally beautiful convertible with strikingly contemporary lines and an unashamed luxurious interior. Yet even we were surprised by how much demand there has been for us to put it into production. Our customers obviously remembered how good our last convertible was and naturally their expectations for this car were even higher. I'm glad to say they haven't been disappointed." The Arnage Drophead Coupe will be the fourth new model to go on sale in just four years at Bentley, reflecting the incredible success of the brand since becoming part of the Volkswagen Group in 1998. Since 2002, Bentley has launched the all-new Continental GT Coupe, the 2005 Model Year Arnage, the four-door Continental Flying Spur and now the Arnage Drophead Coupe. "This convertible will be the flagship of our range," says Adrian Hallmark, member of the board, sales and marketing. "While we are excited to be able to offer our cars to a wider market thanks to our Continental series, no-one should doubt that Bentley will continue to be known the world over as the creator of the world's most exclusive cars. 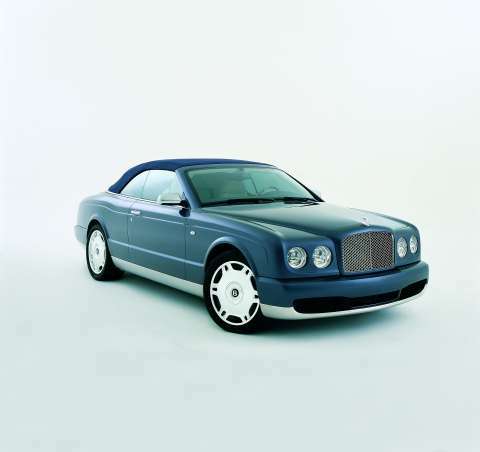 The Arnage Drophead Coupe is a perfect example of that intent." The twin-turbocharged V8 engine, double-wishbone suspension and extremely rigid body structure of the Arnage provide a state-of-the-art basis for the Drophead Coupe. It is powered by a 450bhp (336Kw) version of the Arnage's 6.75-litre twin-turbocharged, intercooled, V8 engine and produces 875Nm (645lb ft) of torque. The complex folding roof on the convertible is operated hydraulically at the touch of a switch and the impressive three-layer canvas roof is elegantly stowed beneath the rear parcel shelf in under 30 seconds. Further details, including full technical specification, market availability and pricing, will be released nearer the Arnage Drophead Coupe's on-sale date. from 5th January, 2005 here.